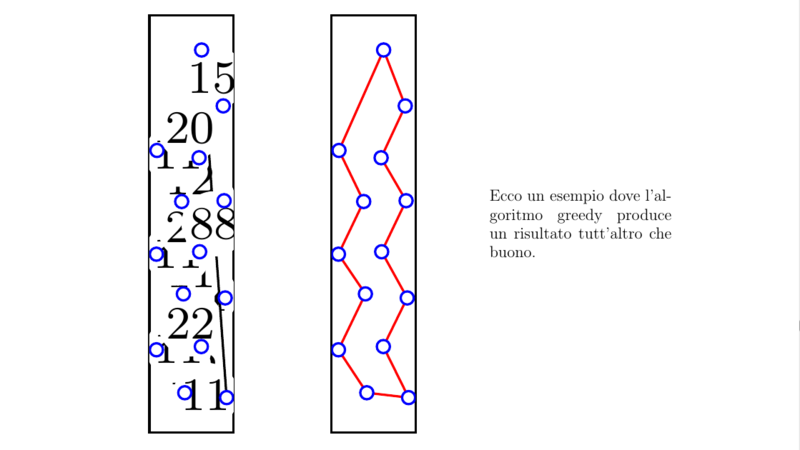 I am using this guide to put concorde tsp solver's vector graphics in LaTeX. I want to show 2 images and a description text right next to them, all side-by-side. I am usign the minipage to do so, but I am having some trouble with the font size of the edges' weights. 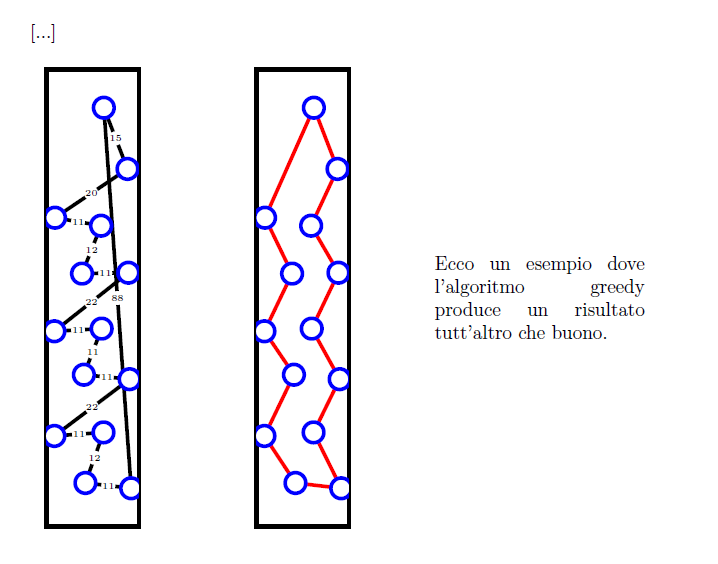 Ecco un esempio dove l'algoritmo greedy produce un risultato tutt'altro che buono. I tried a couple of things but none of them seems to be working, the font of the edges is still too big. I am loooking for a solution that doesn't modify the default height of the images because I have a lot of other plots above and I don't wanna change them. So far I tried defining a new custom font size smaller than tiny, I tried using scale, transform shape,.. and a couple of other..but none of them works. Not the answer you're looking for? Browse other questions tagged tikz-pgf pgfplots fontsize minipage or ask your own question. How to get vector graphics from Concorde program?